The Flathead Lake International Cinemafest (FLIC) premieres its sixth annual winter film festival during the weekend of January 26-28, 2018 at the Showboat Cinema on Main Street in Polson, Montana. FLIC 2018 will screen full-length features, shorts, animated films, and documentaries. True to its name, FLIC once again offers a broad selection of international films from 15 countries. In addition, there are seven films produced in Montana, which is always of particular interest to attendees. FLIC officially gets underway Friday, January 26th with an informal gathering from 4:30 to 6:30 p.m. at Vine & Tap at 218 Main Street, Polson. Film showings on two screens begin that evening at 7 p.m. at the Showboat Cinema, 416 Main Street, Polson. On Saturday, January 27th, there’s a break in screenings from 5:30 p.m. to 7 p.m. for a second informal gathering at the Vine & Tap on Main Street. Complimentary hors d’oeuvres are served each evening. The FLIC judges have once again enjoyed discovering FLIC 2018’s gems. This year’s standout films include 4 Dancers’ Dreams, by Canadian producer/director Nancy J. Lilley, who will be chairing a Q&A following her screening. This beautiful documentary follows four young dancers through their graduating year from dance and high school. All of them want to go pro, and they share their private dreams and ambitions, their setbacks and triumphs. The film travels to Germany for the International Dance Organization Tap Competition, to Seattle, WA for the Regional Semi-Finals of the Youth America Grand Prix for Ballet, and to competitions around the lower Mainland of Vancouver, BC. 4 Dancers’ Dreams explores what it takes to become a professional dancer and where its four featured performers eventually land. Another strong picture this year is Walking Bear Comes Home: The Life and Work of Chuck Jonkel, which screens on Saturday, January 27 at 4 pm and again during the encore screenings the week following the festival. This documentary film examines the life, work, and legacy of a legendary biologist and conservationist who spent much of his life in Montana, but whose work and legacy reach around the world. 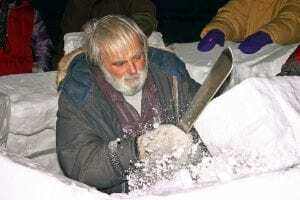 With archival footage of Jonkel’s early polar bear research and extensive interviews with Jonkel, his family, friends and colleagues spanning his more-than-fifty year career, the film examines the many facets of Chuck Jonkel, from his work as a biologist to his impact on the lives and communities he worked in and cared about. 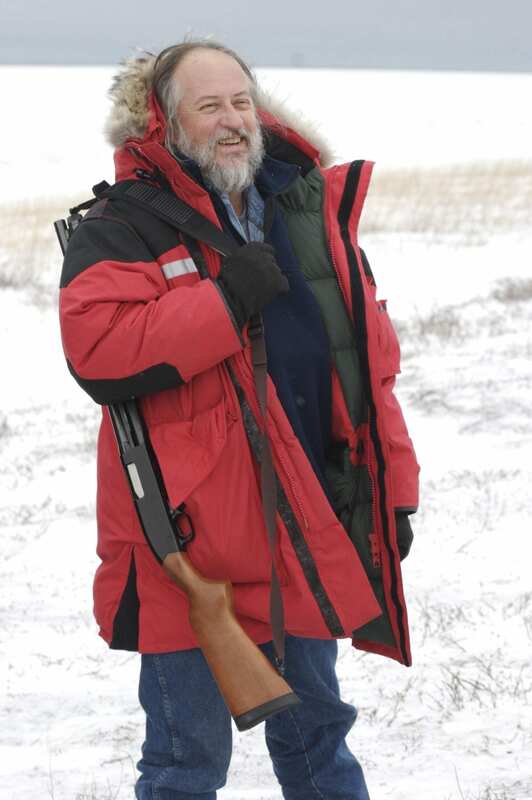 Jonkel is the only person to have done extensive studies on black bears, polar bears and grizzly bears in his lifetime. The film is a collaboration between Shannon Donahue, Executive Director of the Great Bear Foundation (GBF) and Frank Tyro, Board President of the Foundation, FLiC Co-chair and FLiC Board President. The draft script was part of Donahue’s master’s thesis at the University of Montana. She lives in Haines, Alaska where she runs the GBF northern office and conducts research on Chilkoot River brown bears. She worked with Jonkel from 2007 until his death in 2016. The film was nearly 10 years in the making and Donahue and Tyro spent 6 intensive months sending script and film drafts back and forth from Montana to Alaska to fine-tune the film to its PBS broadcast length of 56 minutes and 40 seconds. Frank Tyro has worked in broadcast media for 49 years as a manager/engineer, producing cultural documentaries and teaching. A Q&A session with Tyro will follow the screening of the film on January 27 at the Showboat Cinemas on Polson’s main street. In a live presentation called Cinematic Labyrinths, The Kissinger Twins, Dawid Marcinkowski and Katarzyna Kifert, travel from Europe to demonstrate a live, interactive and non-linear storytelling showcase, in which they explain the non-linear storytelling concept, talk about film and interactive media, their inspirations, and present their best online interactive and transmedia projects. This fascinating appearance is scheduled for Saturday, January 27th at 2pm on Screen 2. Saturday morning’s fun begins at 8:30 a.m. with FLIC’s popular free family movie screening. This year’s film is Sing, featuring a hustling theater impresario’s attempt to save his theater with a singing competition featuring humanoid animals. Attendees are encouraged to arrive in their pajamas and enjoy a free breakfast sponsored and prepared by the Polson Rotary Club. This non-ticketed screening is free, and seating is on a first-come, first-served basis. As with previous years, many of FLIC’s screenings will include question and answer sessions with participating filmmakers from across the country. Visit FLICPolson.com and see the list and bios of some of the filmmaker attendees this year, which numbers well over a dozen. The festival closes on Sunday, January 28th with an awards show at the Showboat Cinema, where approximately 20 awards will be handed out to films, actors, and filmmakers in various categories. The Viewer’s Choice award will also be given to the FLIC audience’s overall favorite film. All films, times and events are subject to change. The entire FLIC 2018 program and screenings schedule is available for download at the FLICPolson.com website, where festival passes and individual screening tickets may also be purchased. Additional information on the festival is being updated online at www.flicpolson.com and Facebook; or email info@flicpolson.com. POLSON — They like to let people know that theirs is the most beautiful film festival in the world. Filmmakers from places as far away as Iran have taken notice of Polson’s Flathead Lake International Cinemafest (FLIC) that celebrates its sixth anniversary next weekend. This year’s film festival has been recognized as one of the top 15 winter film festivals in the United States by the Audience Awards. This year it will run from Friday, Jan. 26, to Sunday, Jan. 28. It features 68 films from 15 countries. That’s almost twice as many films that the festival showed in its first year. But, even more importantly, King said the quality of the films continues to get better each year. This year, organizers had to turn down 40 entries. 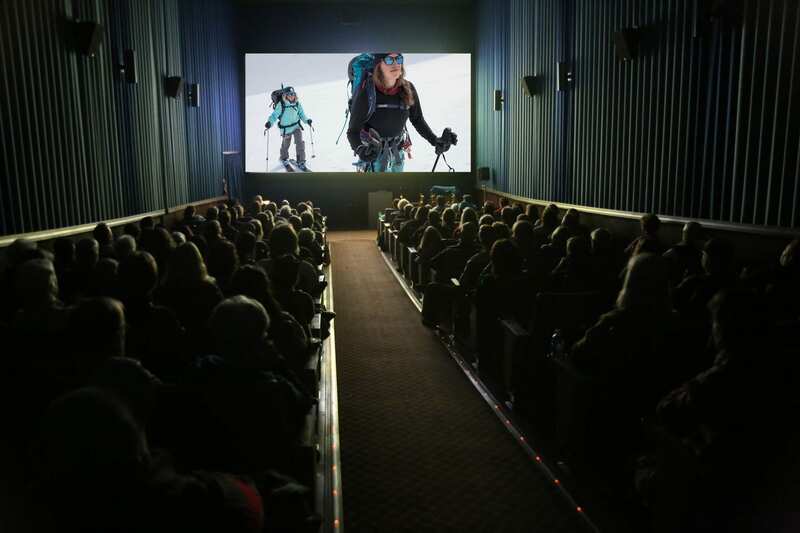 The festival, which showcases independent films at the Showboat Cinema on Polson’s Main Street, not only draws filmmakers from far and wide but also an appreciative audience that continues to grow each year. The audience comes to see the variety of interesting films, and its members also have a chance to hear from the people who produce the films. This year, about 20 filmmakers are expected to attend the festival. Showboat Cinema owner Becky Dupuis said while the focus at many larger film festivals is on getting a film noticed and sold, the filmmakers who come to Polson are looking for something different. King likens the Polson film festival to the early days of Robert Redford’s Sundance Film Festival in Utah. This year’s festival includes an entire bloc devoted to their entries. King said this festival includes many films that are very well done. The Canadian film “4 Dancers’ Dreams” was one of his favorites. The film follows four young dancers in their final year of dance school. The filmmaker, Nancy J. Lilley, will attend the festival. Tyro is the co-director of the film “Walking Bear Comes Home: The Life and Work of Chuck Jonkel.” Tyro worked with the famous bear researcher for almost 30 years in his work in the Arctic studying polar bears. Jonkel died in April 2016. The documentary examines the life, work and legacy of the legendary biologist who spent much of his life in Montana. It includes archival footage of Jonkel’s early polar bear research, and interviews with the researcher, his family and friends. Tyro worked with Great Bear Foundation executive director Shannon Donahue to produce the 56-minute film. The festival also includes a live presentation called Cinematic Labyrinths presented by The Kissinger Twins, Dawid Marcinkowski and Katarzyna Kifert. The two will travel from Europe to demonstrate their live, interactive, non-linear storytelling showcase that puts the audience in the driver’s seat. “It’s the first time we’ve ever had anything like it,” Tyro said. In another first, all the films have been converted by Polson’s Jim Ereaux to the format used in theaters like the Showboat. The film festival couldn’t happen without the help from many different members of the community. King spends several months every year going through all the entries and helping to decide which ones will make the cut. Tyro is encouraged by the variety of differing viewpoints that the films offer to audiences in Polson. To learn more about the festival and a schedule for the films, including encore showings, people can visit flicpolson.com. The Flathead Lake International Cinemafest (FLIC) premiers its sixth annual winter film festival during the weekend of January 26-28, 2018 at the Showboat Cinema on Main Street in Polson, Montana. FLIC 2018 will screen full-length features, shorts, animated films, and documentaries. True to its name, FLIC once again offers a broad selection of international films from 18 countries that include India, Australia, Canada, Spain, Taiwan, Turkey, Croatia, Iran, Israel, and the USA. In addition, there are several films produced in Montana, a trend that keeps growing. FLIC kicks off on Friday, January 26th with an informal gathering from 4:30 to 6:30 p.m. at a TBA Polson location (see FLIC Facebook page for updates). Film showings on two screens begin that evening at 7 p.m. On Saturday, January 27th, there’s a break in film showings from 5:30 p.m. to 7 p.m. for a second informal gathering at the Vine & Tap on Main Street. Complimentary hors d’oeuvres are served each evening. The FLIC judges have enjoyed unearthing FLIC 2018’s gems. This year’s standout films include “Iron”, in which a young woman named Lily Cohen escapes the crowded tenements of early 1900’s New York to take on a demanding railway job. Determined to work on a steam engine, a position not traditionally held by women of that era, Lilly endures the hostility of her fellow railroad workers while finding her own inner strength. Another strong picture is “Game”, in which a new kid shows up at the high school boys’ basketball tryouts and instantly makes an impression. Will talent and drive be enough to make the team? Game is inspirational on many levels and the FLIC judges believe it is destined to be one of FLIC 2018’s finest. In the Montana-grown documentary, The Gardener, world-renowned French composer and pianist Julien Brocal shares an introspective and hopeful perspective on nature, art, and human connection, bringing his environmental philosophy to life through music. Director Kathy Kasic filmed The Gardener at Tippet Rise, an 11,000-acre art center in Montana. 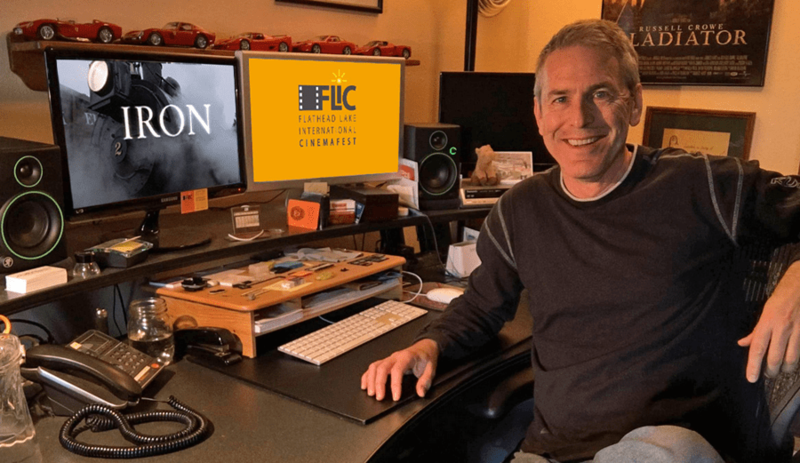 In a live presentation titled “Anatomy of a Film & Television Career”, FLIC Producer and Co-Chair David W. King will recount his career in Hollywood, which included Producing at Disney, Universal Cartoon Studios, and stints at many other studios and networks. King will share film clips and anecdotes in an informal, conversational manner that invites audience participation. This fall, King accepted an invitation to present “Anatomy of a Film & Television Career” at two University of Montana Entertainment Management classes. Saturday morning begins at 8:30 a.m. with a FLIC’s popular free family movie screening. This year’s film is Sing, featuring a hustling theater impresario’s attempt to save his theater with a singing competition featuring humanoid animals. Attendees are encouraged to arrive in their pajamas and enjoy a free breakfast sponsored and prepared by the Polson Rotary Club. This non-ticketed screening is free, and seating is on a first-come, first-served basis. As with previous years, many of FLIC’s screenings will include question and answer sessions with participating filmmakers from as far away as Poland. Stay tuned for more details, as FLIC’s grand weekend in January gets closer! The festival closes on Sunday, January 28th with an awards show at the Showboat Cinema, where approximately 20 awards will be handed out to films, actors, and filmmakers in various categories. All films, times and events are subject to change. Additional information on the festival is being updated online at www.flicpolson.com and Facebook; or email info@flicpolson.com.